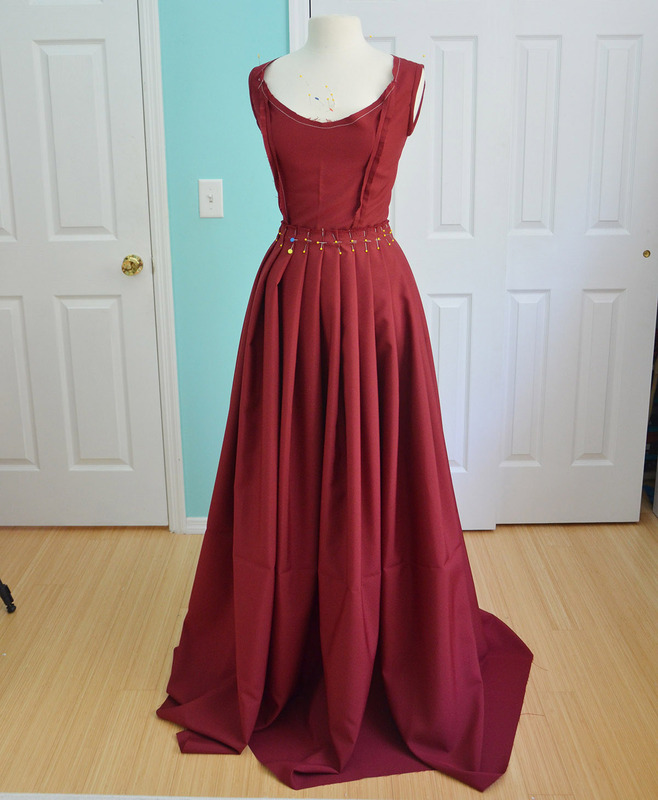 Last week I shared the making of my Cinderella dress, which I actually finished today (thank god), that project has been frustrating, to say the least. Part way through I decided I needed to take a break, which meant it was time for a procrastination project! I decided to begin work on something I mentioned in my Progress Report. I’ve had this project in mind for a while and I knew it would be relatively easy to make, so I got to work! In total this dress took five days to make, and sixty dollars worth of materials. I used sari fabric from Joanns, and a matching suiting for lining. I also raided my beading collection and used some sequins and seed beads for embellishments. 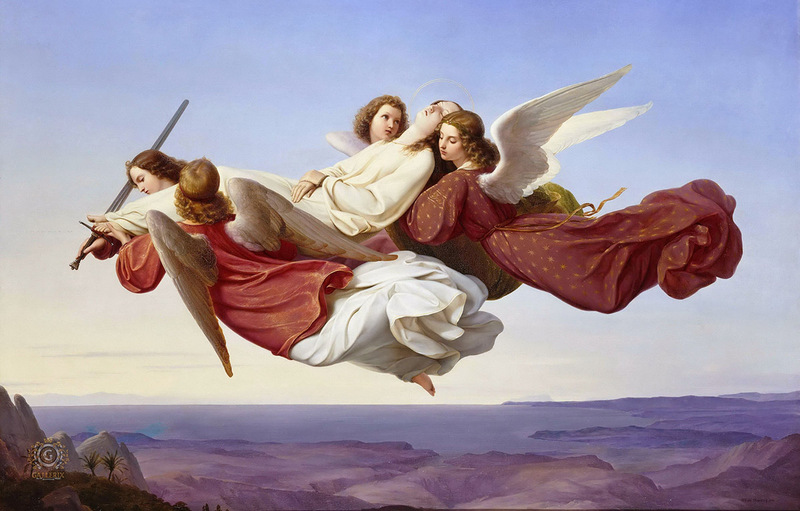 This project is based on a dress from a painting called “The Body of Saint Catherine of Alexandria Borne to Heaven by Angels” it was painted by Mucke Heinrich. I love this painting, I think it’s really pretty. And even though the dresses shown are simple, I really like them. The image below does not belong to me and was taken from this page. I drew up a quick little sketch as well. 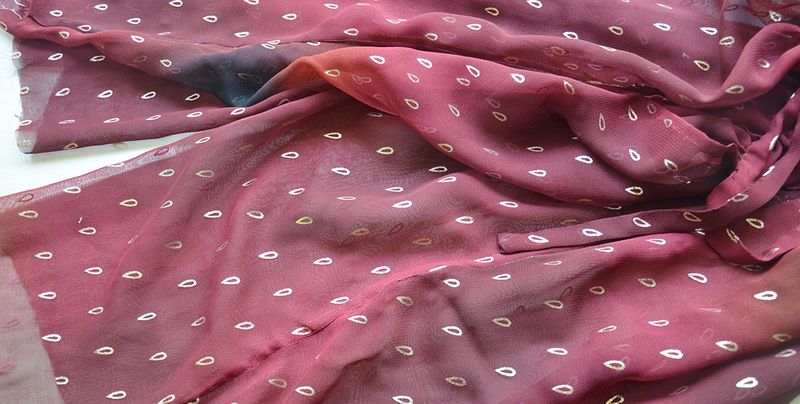 I decided that it would have a structured base out of suiting, with the sari fabric draped overtop. 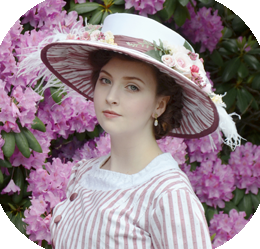 The sleeves would be large with little ties at the wrist, which match larger ones at the waist. 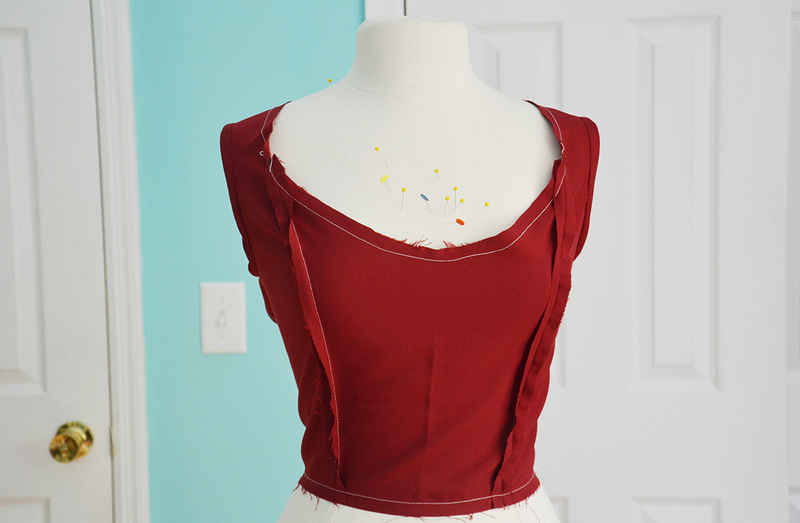 The neckline would be finished with bias tape and have sequins sewn on to cover the seam. Step one was draping the pattern. 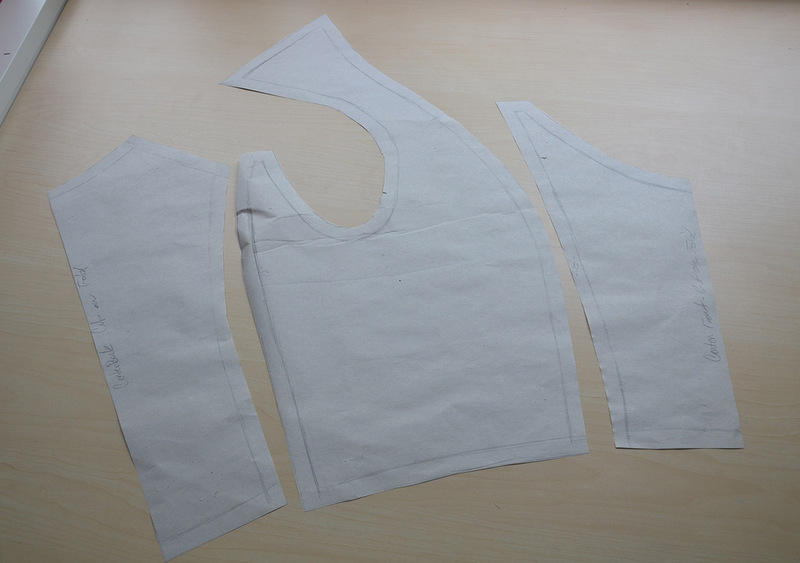 This is a super simple three piece pattern, which will actually end up being a four piece pattern since the front and back seams are cut on the fabrics folded edge. Once removed from the dress form it looked like this! It was pretty rough around the edges so I did some trimming before tracing it for my paper pattern. After things were straightened out, I traced each piece and added seam allowances. The pattern looked like this. 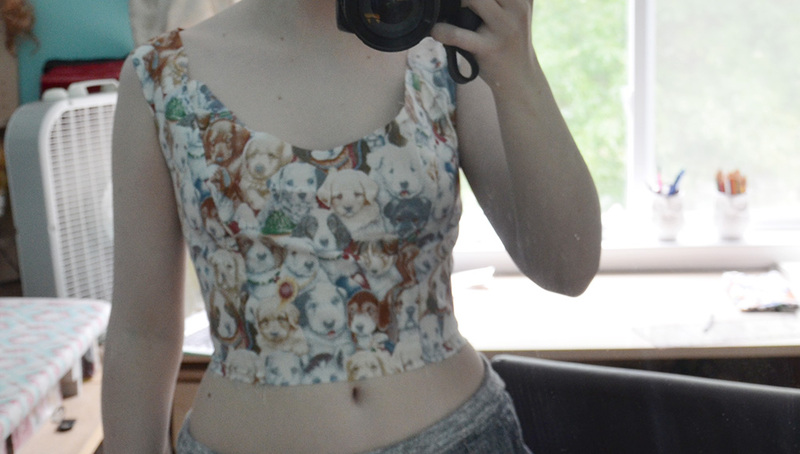 I turned that into a mock up (made of cute puppy dog fabric, of course). I was pretty pleased with the fit. I just wanted to deepen the neckline a little and lengthen the waistline by a half inch. After a big of fiddling, I decided this dress would close with a zipper up the back side seam. It makes getting it on a bit of a struggle, but it’s really the only seam I can hide it in. With the alterations made I cut out my pattern. The two panels shown below are the ones the zipper gets inserted into. 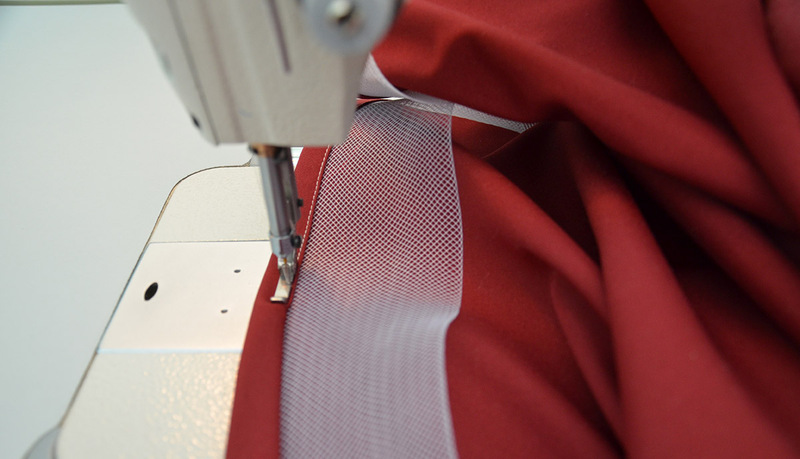 Instead of being sewn together with a seam both edges get turned over by a half inch. But the rest of the seams get sewn the way you would expect. 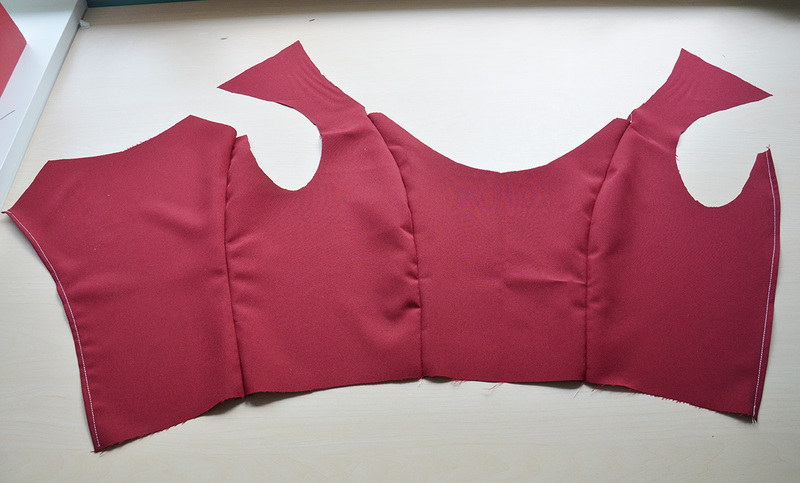 This is actually the wrong side of the bodice, which will be facing the interior. 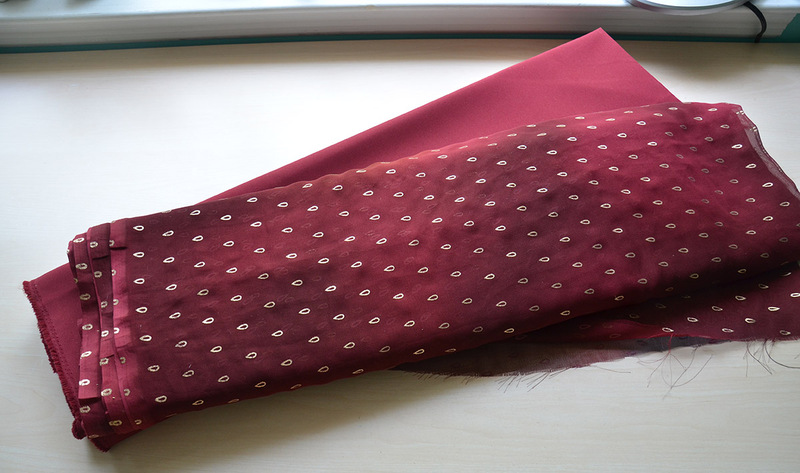 As I said earlier the suiting is the lining, and the sari fabric will be draped overtop which will hide the raw edges. 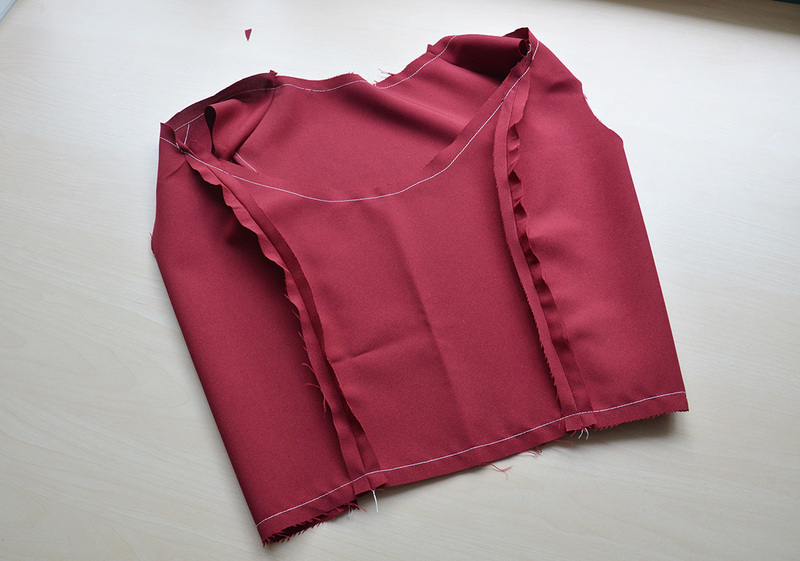 Here the bodice is with the shoulder seam done up and the right side facing out. I know it looks a bit messy, but that is unavoidable with these things! I also chose to stitch a half inch away from each edge, this creates a guideline for where to attach the bias tape. Speaking of bias tape, the next step was using some to cover the raw edges around the arm holes. With that done I placed it on my dress form. I think it looks a lot better this way! And this is actually the last step about making the bodice lining, because everything else has to be done after the overlay is attached! With the bodice lining “done” I moved onto the skirt. The skirt is a four yard wide, fifty four inch long rectangle. The top eight inches of the two raw edges got turned over twice and sewn down. This will be the opening for the skirt. Then I pleated the top down to twenty seven inches. 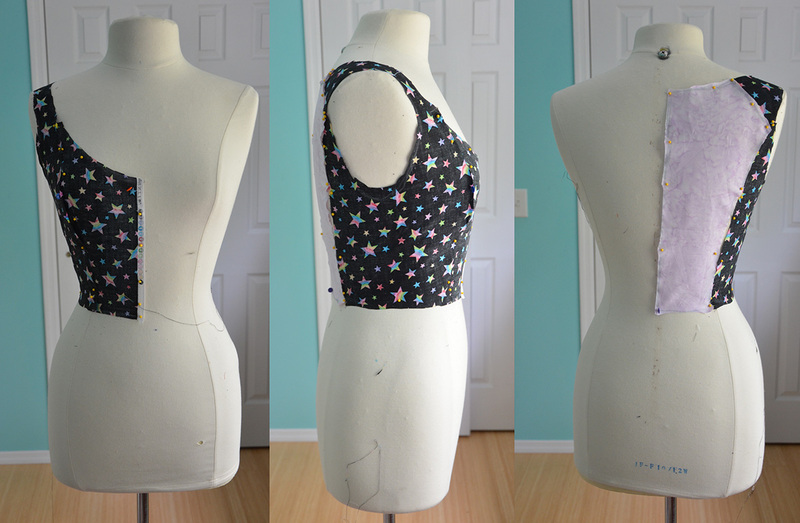 I had to do this part twice since I sort of messed up on the measurements and it ended up four inches too small…. Here it is on the dress form. The hem is really long, but I kind of like that. 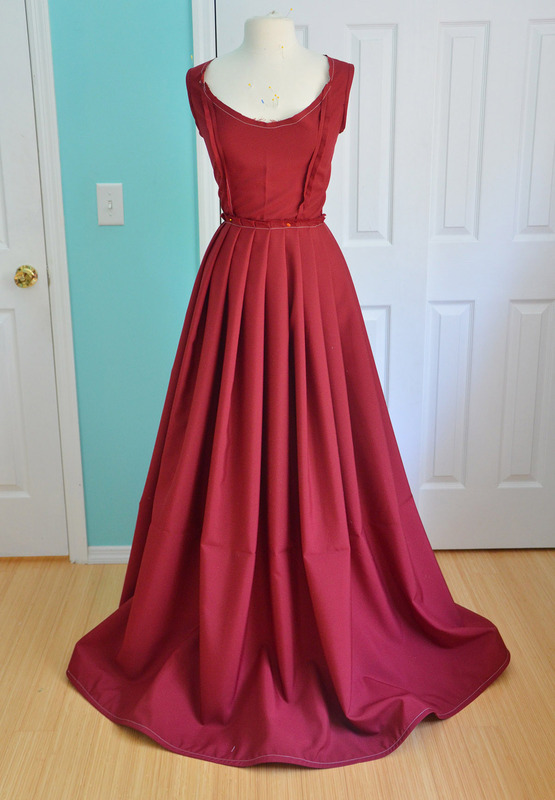 It reminds me of my Pleated Navy Gown, which is so long that it’s impossible to walk in. Though not very practical, it looks really nice in photos, so I decided to leave it. I used horsehair braid to hem it. I’ve shown this process before, but it doesn’t hurt to show it again! 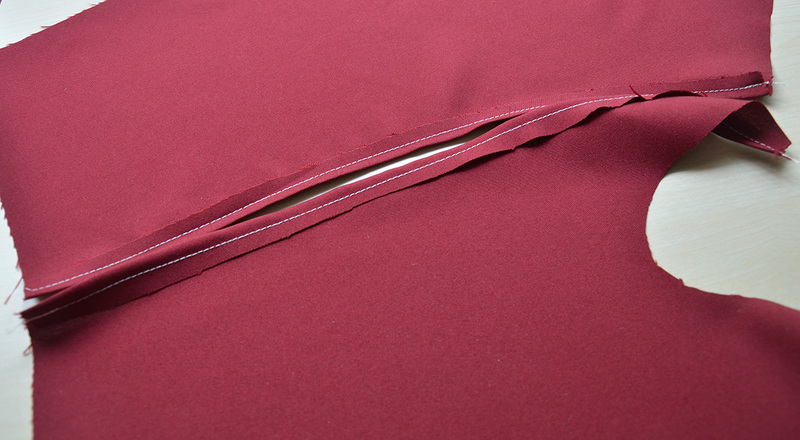 It gets sewn on to the right side of the fabric, with a half inch seam allowance. Then rolled over, twice, so it’s on the wrong side of the fabric. Then it gets stitched down again. With that done I did up the back with a french seam, leaving the top six inches or so open so the zipper can be sewn in later on. 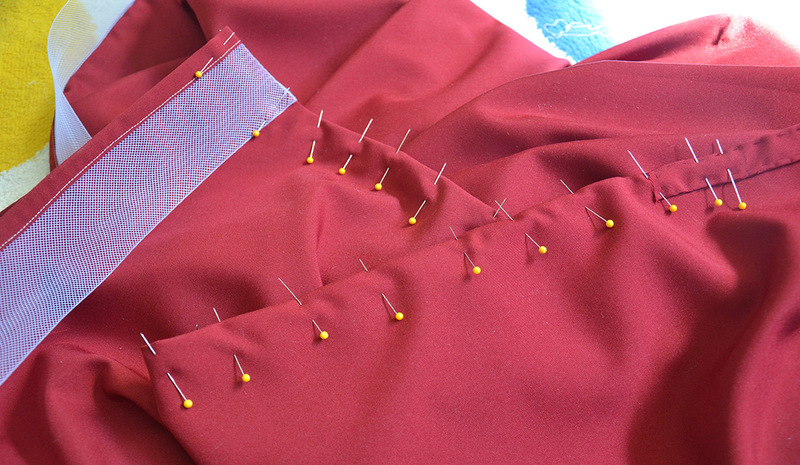 The skirt can’t be attached until the bodice overlay has been draped, so this is pretty much it for the lining layer! I think the lining actually looks pretty nice on it’s own. This would be a fun dress to make in a day if you used prettier fabrics. 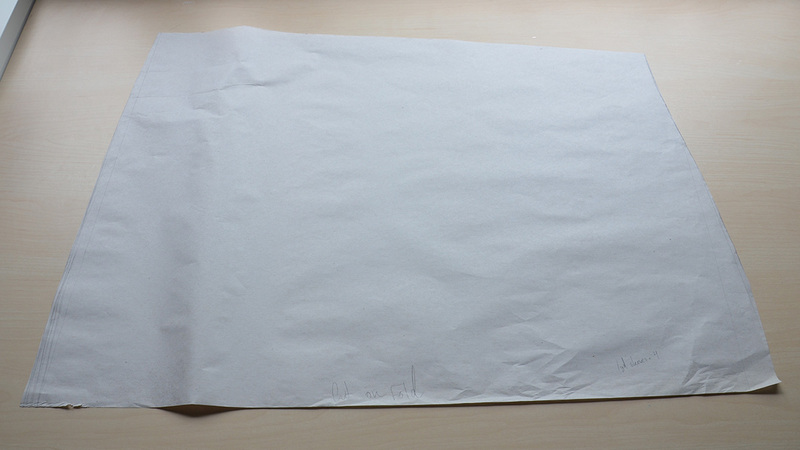 I’ve leave the making of the overlay for my next post, but I will show how I made the sleeves. I started by drafting a quick sleeve pattern. It has a lightly sloped top and is wider at the wrist than the top, but it’s pretty damn similar to a rectangle. So it doesn’t make the most flattering sleeves, but they are full and pretty! 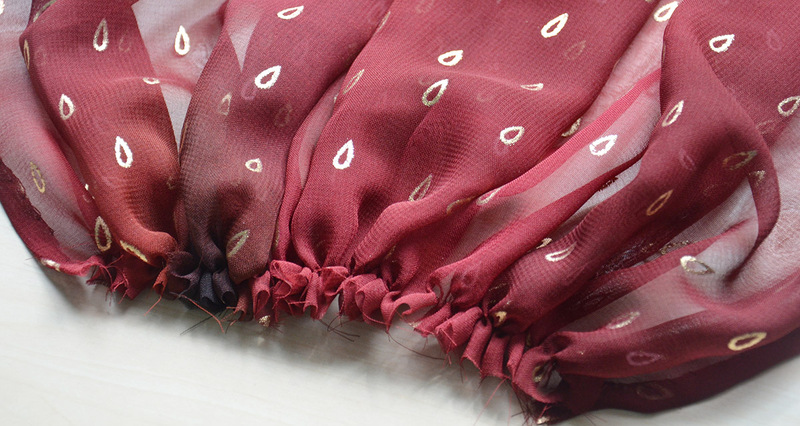 Here they are cut from the sari fabric. 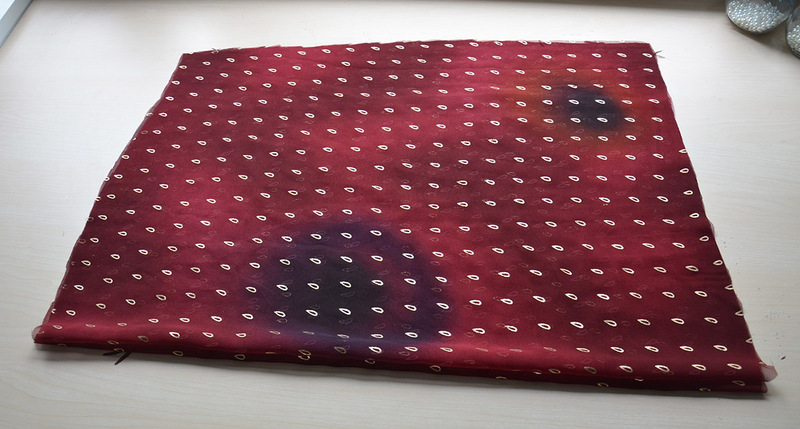 This fabric is kind of odd, it has big bullseye stains dyed into it at various points throughout. I think it looks fine in the finished dress, but when laid out flat it looks like the fabric has been shot and is bleeding! It seems really out of place with the subtle mottled dye the rest of the fabric has. I turned the lower few inches of the edges over by a quarter inch and sewed it down with a whip stitch. Then I gathered the bottoms down to six and a half inches. I made little ties for the wrist out of bias cut strips of the fabric. I folded the edges inward, then folded the strip in half. 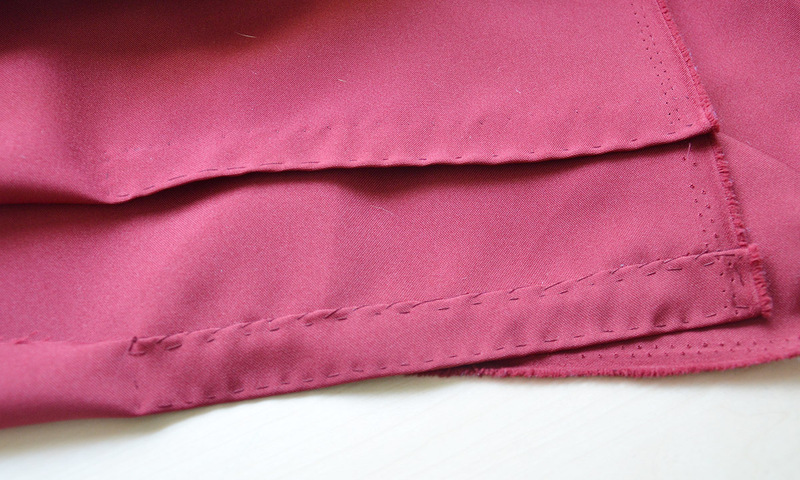 The gathered edge of the sleeve gets tucked into the folded strip so the raw edge is hidden. The ties were sewn on, and the edges that weren’t folded were sewn shut with small whip stitches. 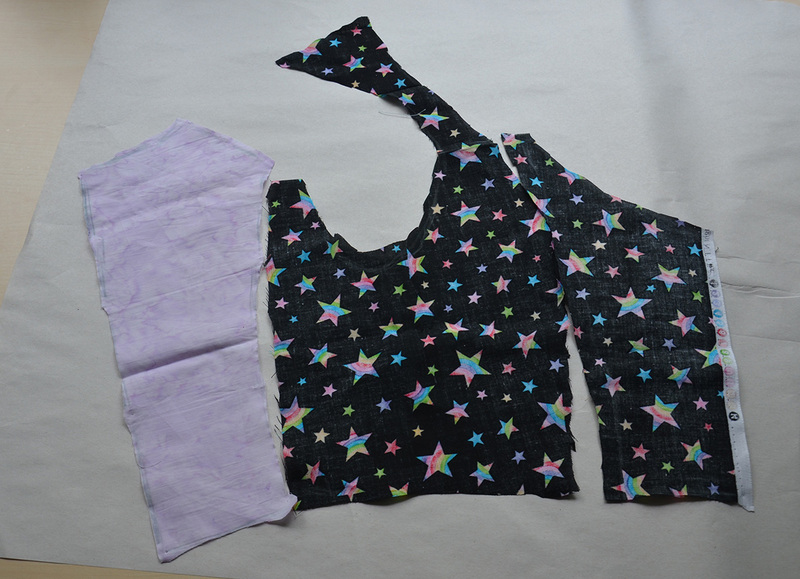 Here are the sleeves with the bottoms nicely finished. I wasn’t super happy with these, even though I liked how the gathers and ties looked. They were a lot more sheer than I had expected, which makes my arms really visible through them, and I didn’t want that. But the fit of the bodice makes undersleeves impossible and I didn’t have enough fabric leftover to line them. So I decided to live with it and move on! I did up the back seam with a french seam. 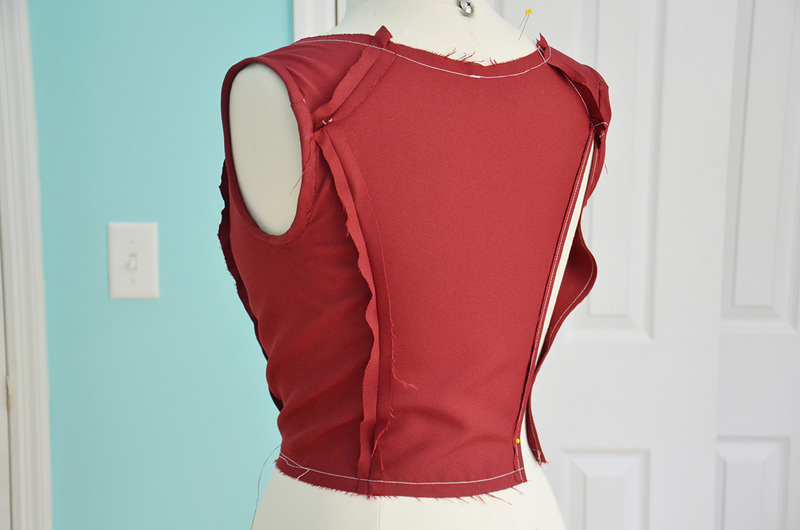 The tops still need to be gathered and attached to the bodice, but i’ll go over that in my next post. Just my opinion but on the picture the sleeves really look lined, not just by the denseness of the colour but also the way the fabric is sort of billowing rather than flat. Then looking round the neckline there is some cream fabric. Do you have any plain cream coloured fabric you could line the sleeves with? Just a suggestion. When you showed this picture in a previous post I wondered how you was going to make this dress as all your others seem to have corseted bodices and this is such a soft looking dress. Are you going to be making the belt as well or going a different direction. I realise you aren’t trying to recreate the dress in the picture totally, just using it for inspiration. Oh, looking at your drawing again there does seem to be some sort of a belt there. Btw, I love your drawings. You look to be a natural at that. I am also impressed with your french seams. I tried doing these on a chiffon type skirt. I was fine except for when I wanted to do a partial seam. I haven’t figured out how to make that look neat yet. There must be a trick I haven’t discovered yet. I love your blog. I feel inspired every time you put up a new post or video. I am in my 50’s and have always sewn exactly as the instructions told me. I never knew anyone who made clothes without using a commercial pattern. Of course I don’t know you, but it’s wonderful to see someone take there knowledge of clothing construction and use it to make what they want instead of what someone else decides. Maybe your youth allows you to do what you want. You have a real belief in your abilities that I have never been able to develop. Anyway, sorry for rambling on. Thank you so much for the kind words! 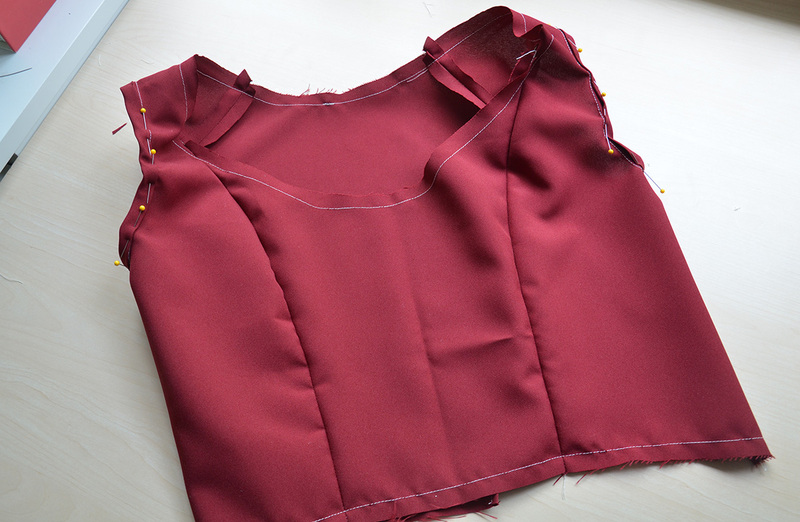 I tend to make my bodices corseted because I like the more dramatic silhouette, but i’m capable of making bodices without boning too – I just don’t do it often. 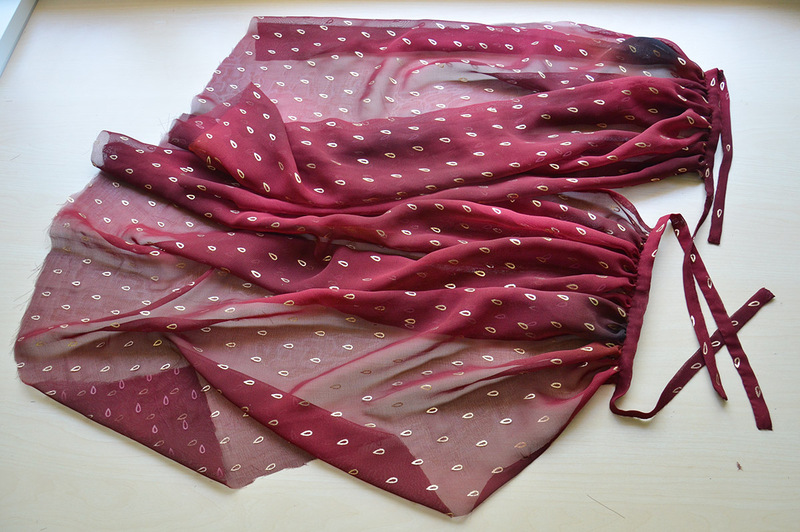 I think the key to french seams or working with chiffon is the same – iron everything. Water, starch, or best press can help a lot as well if you don’t mind the slight change in texture they cause! Great work! I’m so excited to see how this one turns out! I’ve been reading your posts a long time now this just occured to me. I understand why you want to construct all these beautiful dresses even if you never use them or wear them again, it’s not the finished product but the process of making them that appeals to you I think. Anyway I wondered where you keep them all, you might have said once but now I have forgotten. Also just a thought, I made a lot of special outfits for myself fitting my body at the waist quite perfectly, at the time I was 125 pounds and now several years later I’m at 143 and I can’t wear any of that clothing since I sewed into them no room to let them out. I can get them on but the waist is too tight. I was wondering if you thought of this as our bodies do change over the years? It has taught me to leave some room in the waist to expand as that is what varies the most on my body. That’s it exactly – I really like turning a sketch or idea into something wearable, the actual wearing of it is less appealing to me. Unfortunately with the things I make even if room is left in the seams, letting them out is almost impossible. It means sleeves have to be removed, gathers have to be ripped out, the skirt has to be removed and embellishments removed and resewn on later. Every piece is dependent on each other which makes alterations after something is finished quite difficult. 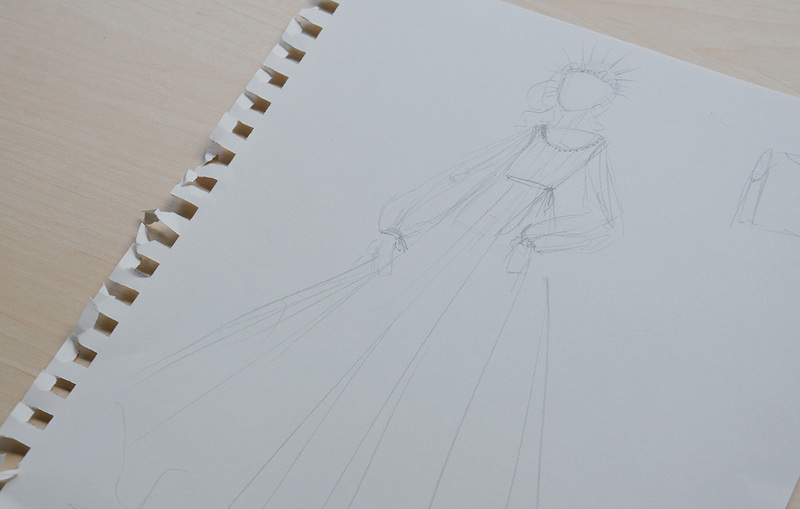 I’m not too worried – if my body does change down the line I can always make more costumes to fit it! Amazing work. 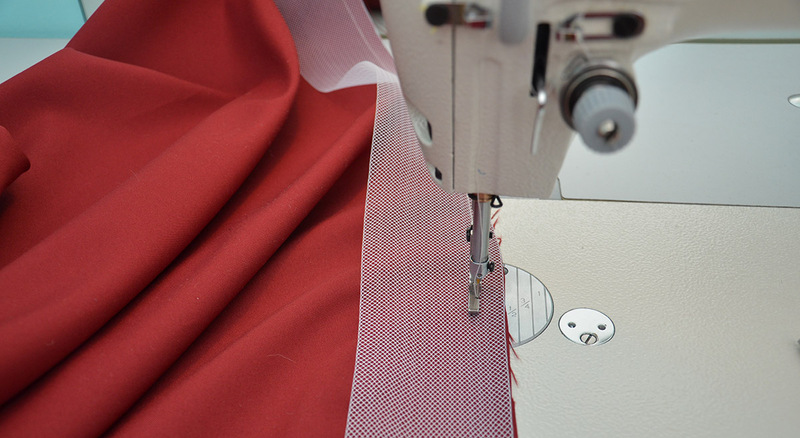 Do you take custom orders from anyone?Or you just stitch them for passion?